Boxer had a good September. She ran up leads as big as nine points, and was as strong as she’s been since the year begin. But the last three polls, taken as the air war has been in effect, have all been close: SurveyUSA 46-43 Boxer, MoE 3.9. Reuters/Ipsos 49-45 Boxer, MoE 4.5. And now Rasmussen 49-46 Boxer, MoE 4. It’s always remarkable for three polls to show such similar results, all showing three or four point leads, and nearly identical lead probabilities. It’s 66/34 race if I run my projection methodology on these polls, which means the ad war has tightened the situation from a quarter chance for Fiorina to third. Some analysts have said that California is immune to the TEA party effect seen in other states. I don’t see how that can be objectively confirmed when the Sarah Palin-backed Fiorina has kept Boxer from reaching a single double digit lead since the Field poll ending January 17. This is a tight race, this has been a tight race, and it seems reasonable to guess that the candidate with the larger and more effective television ad campaign will pull through. 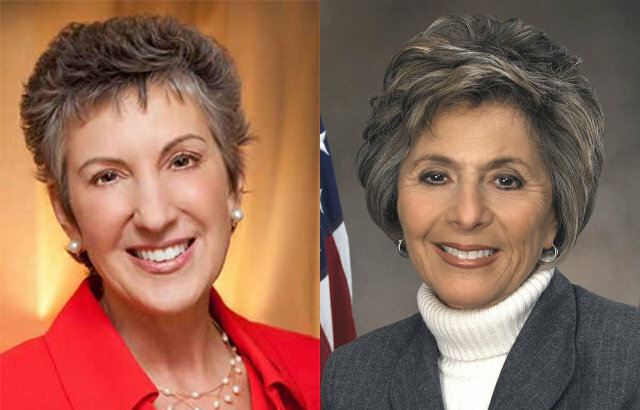 In funding her side of the air war Barbara Boxer has the benefit of two large fundraisers held on her behalf by the President. Carly Fiorina has the benefit of a successful business career giving her the personal means to spend. Both have outside groups behind them. Either one can win this. Boxer just hasn’t gotten the traction against Fiorina she’s had against other Republicans she had in 1998 and 2004. I lived in CA for 14 yrs, but hated being misrepresented by Boxer in the US Senate. What do you make of the likelihood of motor-voters et al at the polling places who weren’t represented in the three polls you reference? I’m not really sure the type of registration matters. Only whether people have phones matters.